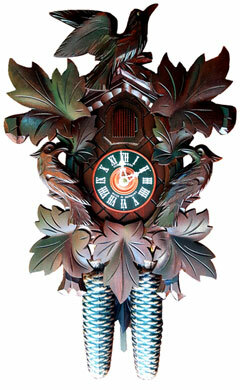 Elaborate carving on this 17 inch 8 day cuckoo clock by August Schwer. 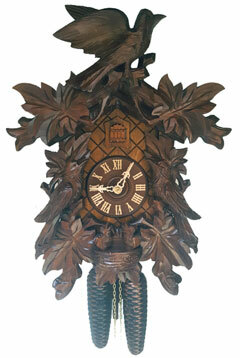 Clock features 3 dimensional carved owls and cuckoo bird nest. Very nice solid wood carvings. 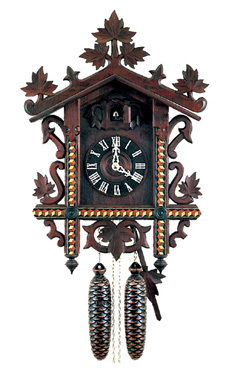 Wooden bird, wooden hands, dial and cuckoo bird. 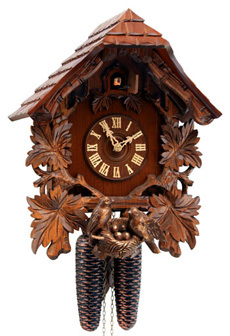 Beautifully carved 11 1/2 cuckoo clock with 8 day movement by Rombach & Haas. 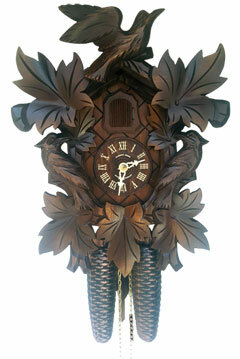 This clock features deep handcarved birds in birdsnest. 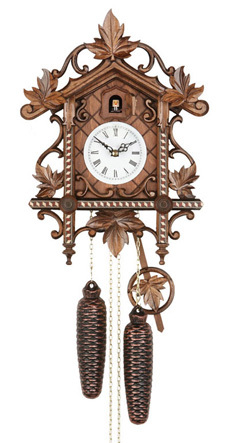 Interesting sequel to the traditional cuckoo clock. 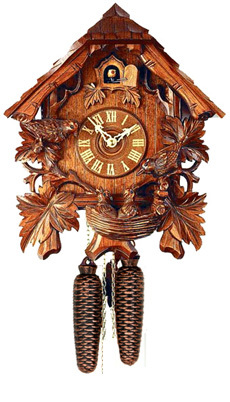 Owl clock with owl sound and carved owls. 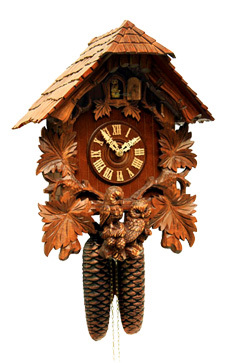 Beautiful carvings with decorated wooden shingled hip-roof, gables and hands in shape of an owl. 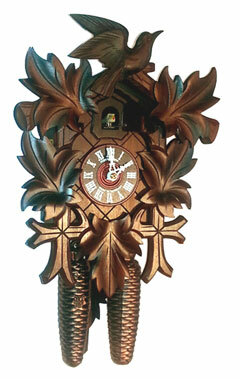 Spectacular carvings on this cute 14 inch 8 day cuckoo clock by August Schwer. 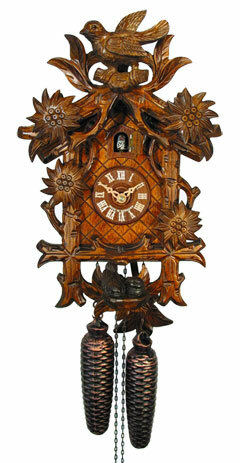 Clock features nice carvings of birds, edelweiss flowers and birds nest. Very nicely crafted clock. 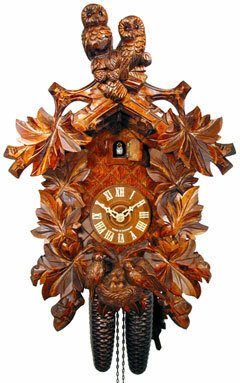 Wooden bird, wooden hands, dial and cuckoo bird. Best of both world (carved and chalet type). Carved solid wood roof and terrific carvings. 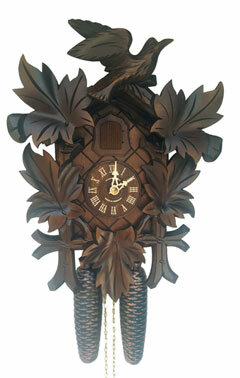 Carvings feature leaves, intricately 3 dimensionally carved birds and birds nest.